“The cabinet has decided to evacuate positions at Suvla and Anzac at once.” So reads a coded telegram that British Minister of War Lord Kitchener sends today to his pretegé, Lieutenant-General Sir William Birdwood. After months of futility, the agonized decision was finally made last night during a meeting of the War Cabinet in Paris, ending weeks of political procrastination. Not that Birdwood has been sitting on his hands, for the evacuation plan has already been worked out in great detail, and the first phase of implementation is already done. 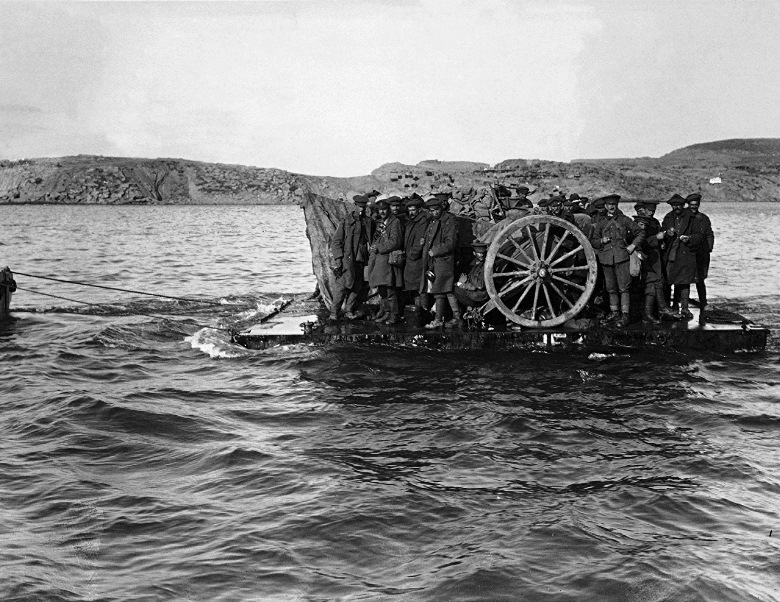 As seen above in a photo of casualties being evacuated, to leave the Dardanelles is a process quite equal to invading them, for there are no real piers. All ship-to-shore traffic is restricted to small boats or barges under watchful eyes, for the waters near the beach still lie under direct observation by Turkish artillery spotters. 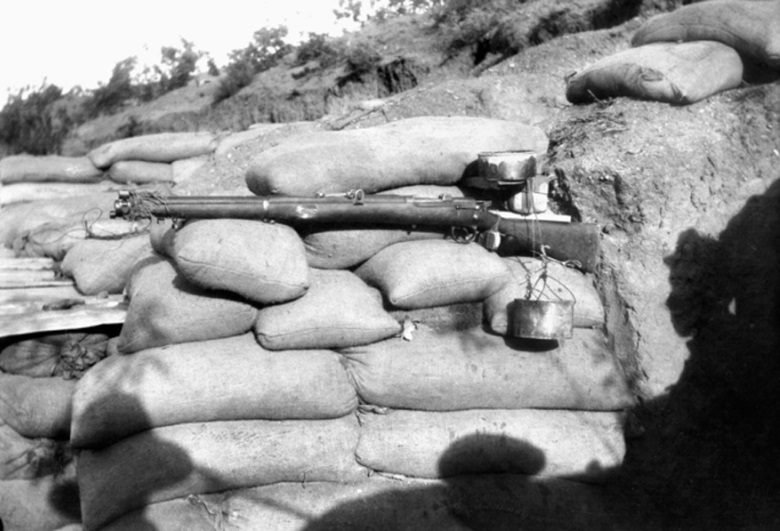 Within the Anzac perimeter, an enforced silence reigns at night, conditioning the Turks to expect inactivity. The flow of supplies has already altered, and now it reverses, with the bulk of the departure conducted in darkness; empty crates are brought ashore and stacked daily on the beach where the enemy can see, creating the illusion of normal logistical and casualty-clearing activity. Three thousand men leave from Suvla Bay and Anzac Cove every twenty-four hours, almost all of them moving at night to mask the movement. 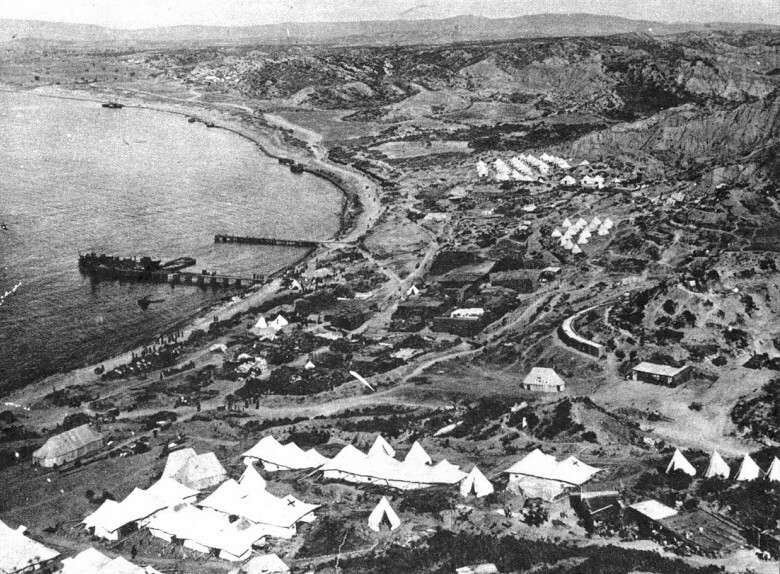 Days of rumor are finally confirmed for the allied soldiers on the 12th, whereupon the most ardent Australians volunteer to leave last, relieving Birdwood of responsibility for choosing which of his units must depart Anzac Cove in the most danger. The detailed evacuation plan runs contrary to established doctrine for amphibious withdrawal. Normally, men and material would recede like the tide; now they are withdrawn from the beach first, then from further inland, with just 22,000 troops left holding the front line by the 18th — half the number needed to hold it, all supported by one-third of the necessary artillery. Aircraft buzz overhead every day, convincing the Turks that a major offensive is being prepared instead. Navy shore police shut down the islands of Imbros and Lemnos under a false smallpox quarantine to prevent fisherman and traders from passing information to the enemy. Exhausted, the divisions under General Liman von Sanders and Colonel Mustafa Kemal Attaturk dig themselves in deeper, for their leaders treat the public discussion of withdrawal in Paris and London as a deception operation. As most of this choreography takes place in darkness, whitewashed sandbags and improvised red-lens lamps direct traffic so that the last remaining units can find their way off shore in the dark — or retreat rapidly if under attack. 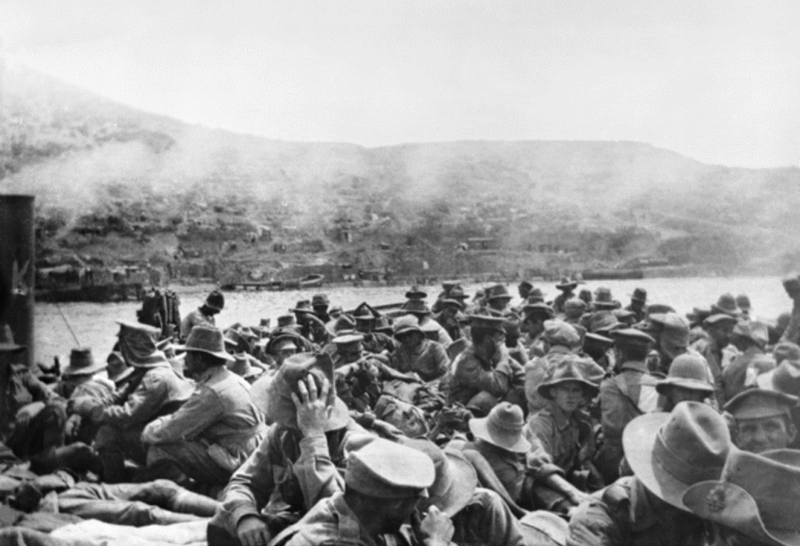 Unlike the makeshift plan and disinterested execution which characterized the invasion, the retreat from Gallipoli is shared at every level of command as needed, allowing subordinate elements to know exactly where and when they are supposed to move. As the men receive their orders, all rum rations and non-medical spirits are collected and destroyed. To minimize noise, there will be no celebration until everyone has embarked. They do not leave without giving their hosts a proper present. Over the next ten days, mines are filled with explosives, land mines are planted in the ground, barbed wire obstacles are erected, and the British navy prepares to watch everything beyond the beachhead to unleash hell on anything that moves. In the wee hours of the morning of the 20th, seventy Turkish soldiers are killed by a subterranean detonation. Tragically, the last two hundred animals used to move artillery must be slaughtered on the beach, but the last elements of the proud army which bled so much in error leave with just one human casualty. It is easily the most successful operation of the war so far for the British Empire, and the ironies of the moment are not lost on the men who run it. A strategic question remains in the east. 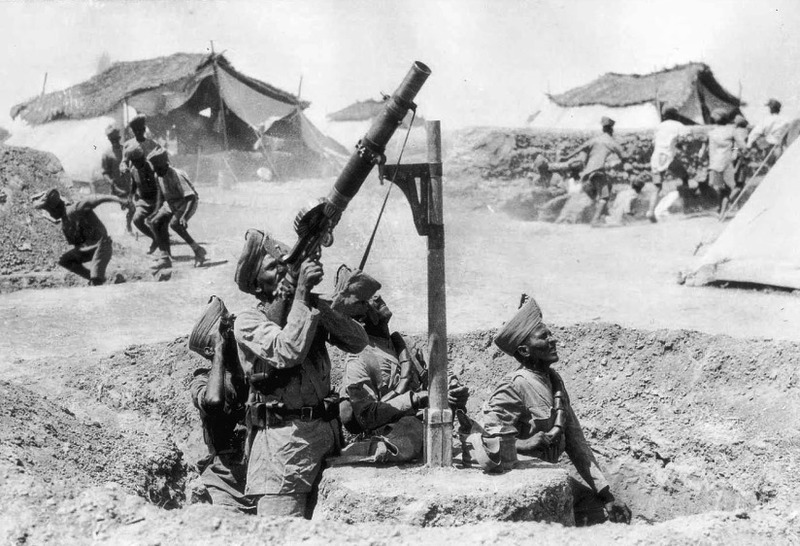 The year 1915 has seen the Caliph’s jihad reach into Central Asia, stretching the Indian Army quite thin across a new strategic threat zone. At General Headquarters in Egypt, where a three day conference concludes with a consensus for withdrawal from the Dardanelles, new priorities take over. Most of the troops leaving Gallipoli are bound for Salonika, where the allies mean to balance the Bulgarians and hold out hope for Serbia. 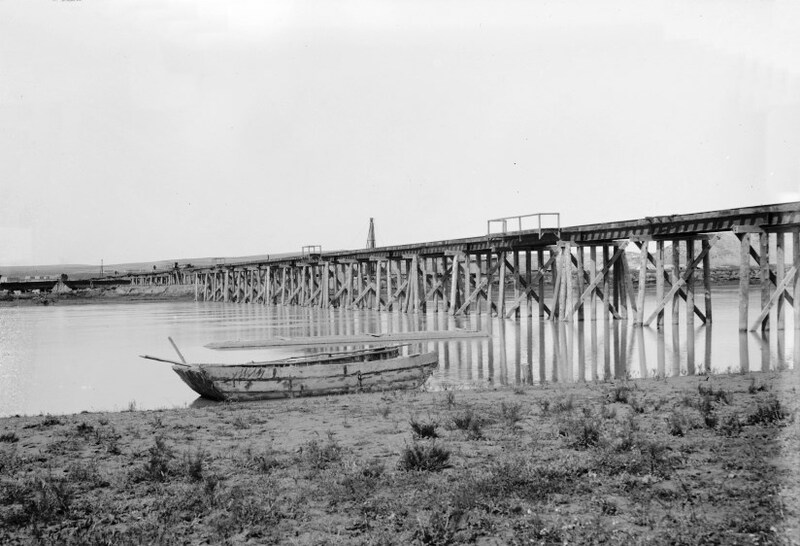 One option, the Turkish port city of Alexandretta, has been considered before; now, an amphibious force could cut the Berlin-to-Baghdad Railway and potentially threaten the strategic rear of the Turkish army now besieging an Indian Army force at Kut al-Amarah. Yet this plan will be rejected by the French, who insist on being involved in any landings in the Levant but lack the spare manpower to do so. 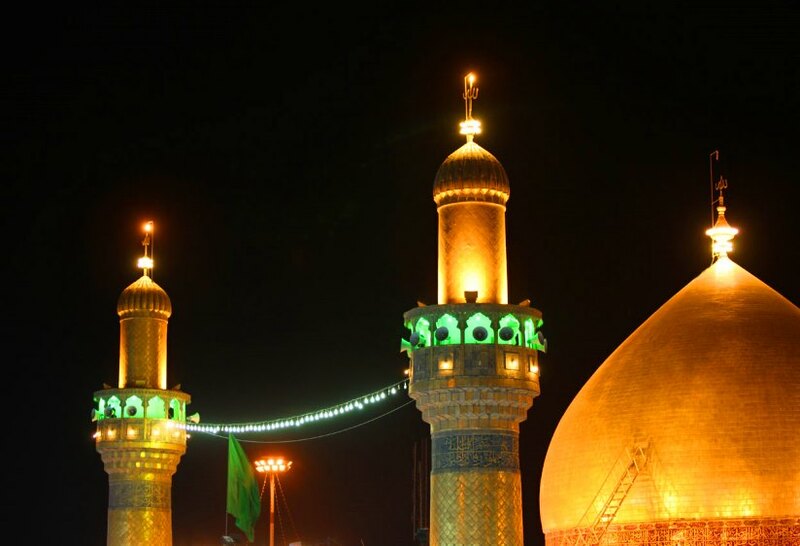 Present for the conference, regional expert Thomas Edward Lawrence has been collecting and vetting reports of Arab discontent with Ottoman rule all year, and thinks an uprising can be stirred, erecting a rival Sunni caliphate in the Sharif of Mecca. Retreating from Gallipoli, the British Empire is casting about for a new handhold to grapple with their enemies in the east and shaping the modern Middle East in the process.